It's been such a cold and snowy April here in Chicago but this week's news has me excited for summer! 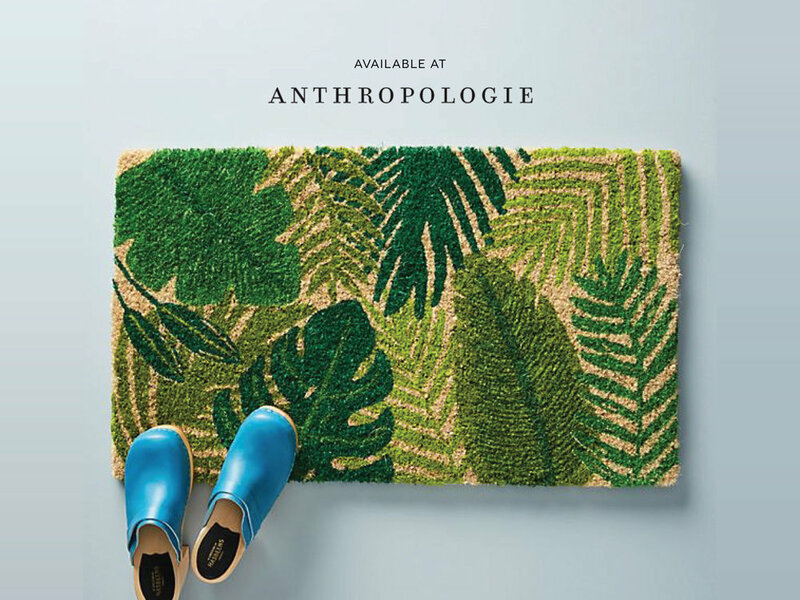 I designed a doormat for Entryways last May and it's finally out in the world! I found it in the May issue of HGTV Magazine and learned from the company that it is also for sale at Anthropologie!!! I've always dreamed of working with them and having my designs for sale at their store and it's finally happening! Here are a few pics of the doormat, enjoy! Hey hey! I was flipping through my HGTV Magazine the other night and what do I find? 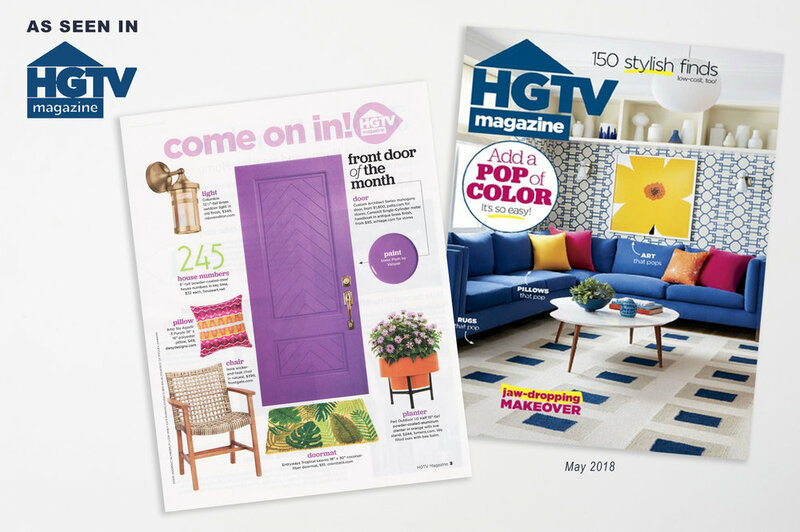 My doormat design featured as part of the Front Door of the Month! 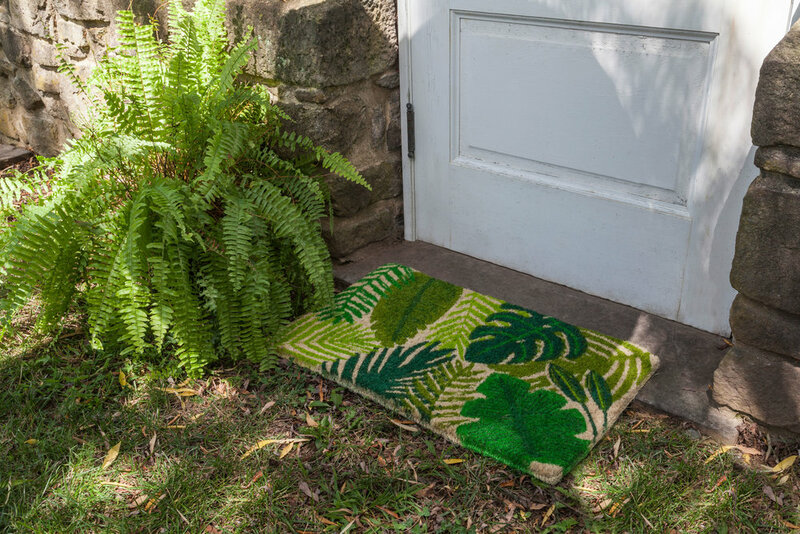 I designed this doormat in collaboration with Entryways and it's great because it's more of a winter design so you can keep it out for longer than just the holidays. It is now for sale at Bed, Bath & Beyond, Houzz, Gilt and more! Wow. Back in May I was contacted by Voyage Chicago asking me if I would like to be featured in one of their articles. They wanted to ask me a bunch of questions about my business and being an entrepreneur. I happily obliged and today I am absolutely thrilled and honored to be included as one of Chicago's Most Inspiring Entrepreneurs! I've been an entrepreneur for 8 years and I never would have guessed in a million years that this type of honor would happen to me! 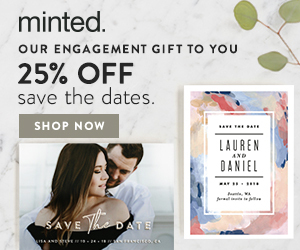 Little old me who started out designing birthday party invitations for friends and am now designing patterns and art for various surfaces with products for sale in major stores like Target and Home Depot. I'm happy to not only be inspirational to others but it has even inspired me to be a better artist and entrepreneur. Thank you Voyage Chicago! Read the full article here.